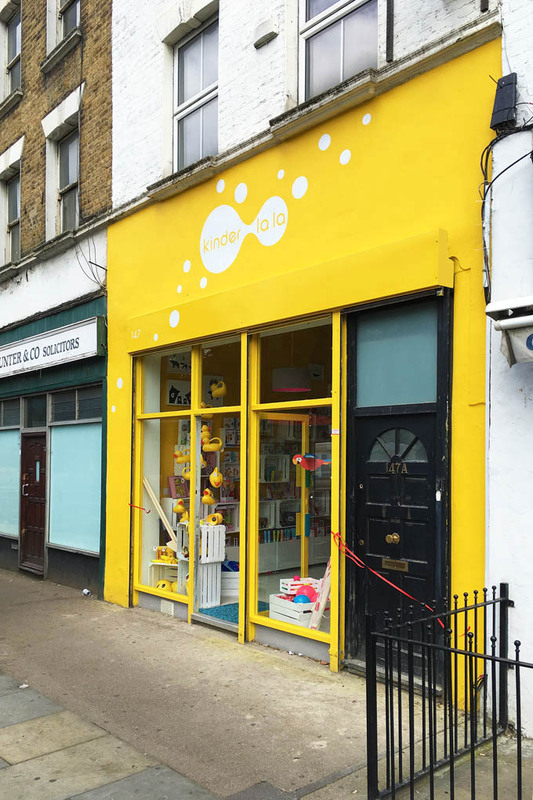 A former nail spa located on the wrong side of the high street yet facing Brockwell Park was transformed into a friendly and bright toy shop with a few simple interventions: The ceiling was restored to its original Victorian retail height, making space for a tall wall of toys. 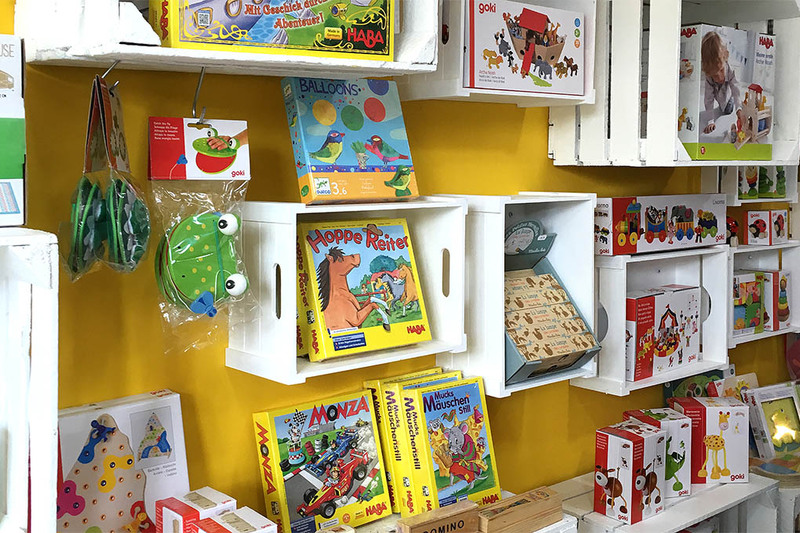 The toys are arranged in re-used market crates which are regularly switched around, just like in an actual market, with high volume storage below. The existing shop front was re-sprayed to save costs and yet give the new shop a strong presence on the street. Signage is simply painted on the rendered surface above the shop front and at night continues across the shutter. 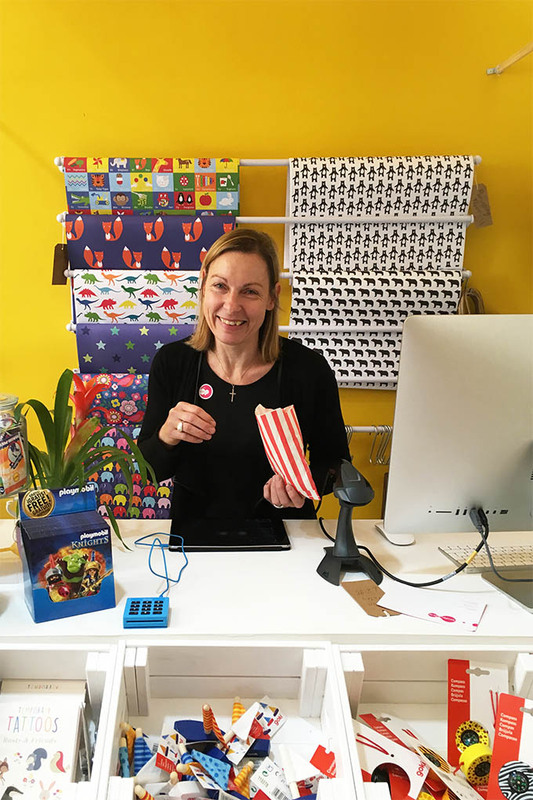 "R2 architects have developed a concept for the shop floor that is based on the idea of creating a contemporary market stall as a backdrop. 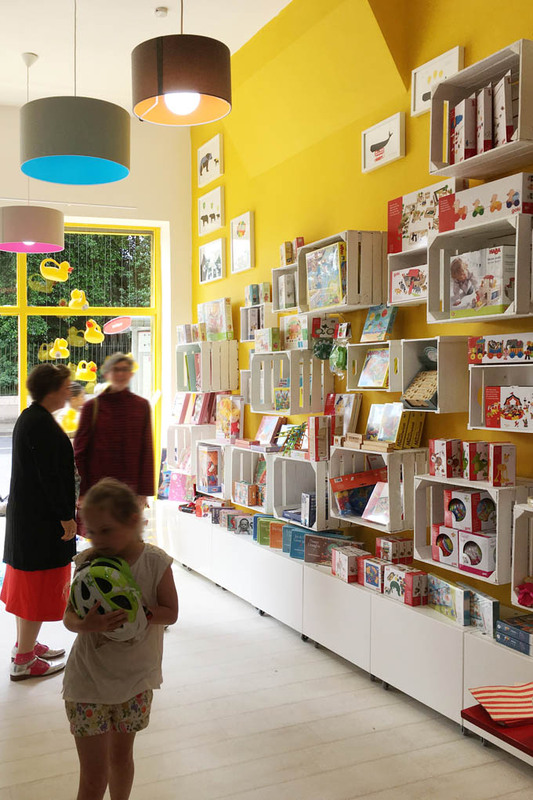 The toy shop required extensive storage space as well as an attractive and inviting design and at the same time enough space for customers with children and buggies to move freely. The architects suggested floating crates reaching up to the high ceilings, which gave way to numerous possibilities for storage and display. This feature wall was balanced with straight hanging shelves on the opposite wall. They also drew up a staged development for the outside space into a project room and storage area. To work with r2architects is a pleasure. Their work is surprising and fresh and to the point. "